Arn Guthrie-Angvik was born and raised in Seattle, Washington. He received his Bachelor of Liberal Arts from the University of Miami in Coral Gables, Florida. He is a member of Lambda Chi Alpha Fraternity, Alpha Kappa Delta Honor Society, and Vice President of the Golf Club. He returned to Seattle where he briefly worked for Hertz as a manager trainee. Arn decided it was time to make an impact on the world and was hired to participate in an internship with SW Global in Accra, Ghana. At SW Global, he aided in the completion of a RPF to asset the Nigerian government to register personal cell phones using biometric data. He served as the founding Vice President of the University of Miami Alumni Association Seattle chapter. Arn is currently studying for his Masters of Arts in Organizational Change at Hawaii Pacific University in Honolulu, Hawaii. His primary focus is to design innovations for organizational culture change and implement change programs. He hopes to use those skills to make organizations more culturally diverse and more efficient. He is a regular golfer and Miami Hurricane football enthusiast. 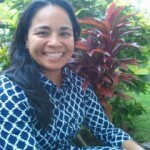 Ceronda Enocencio obtained her Bachelor of Arts degree in Biology with a minor in Chemistry from the University of Hawaii-Hilo, and is currently pursuing a degree in Accounting. She is a self-driven and grounded young woman who contributes to humanity one soul at a time. She is a freelancer skillful in numerous fields including the health sciences, healing arts, occupational safety and health, culinary arts, religion, and animal sciences. When she is not volunteering as a seminary teacher, a practitioner, or an emergency preparedness specialist, she enjoys spending her time engaging in intellectual and spiritual conversations, reading, writing poetry, cooking, finding new ways to develop balance in life, and most especially, spending time with her family, her students, and her favorite furry friends: Chibi-chan, Kokoi, and Zia. 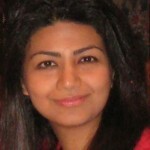 Ehsaneh Shahhaidar is a PhD candidate in Electrical Engineering at University of Hawaii at Manoa. For the past three years, while doing her PhD, she has been working on new ideas in the field of modern renewable energy development, specifically on human energy harvesting for remote health monitoring. Prior to her doctoral studies, Ehsaneh worked as a lecturer at the K.N.Toosi University of Technology (in Tehran, Iran), teaching Electrical Machines Laboratory. She has also experience of working as an R&D Engineer at Kharazmi Office Machines, a private company specializing in information technology and online banking systems in Iran. Ehsaneh’s management and communication skills as well as technical expertise have helped her gain several cross-functional team work experience. She has trained, supervised, and managed a team of undergraduate and graduate students. Also, she has presented several papers and posters at professional meetings and conferences, participated in writing several proposals for NSF and local companies’ grants, and has been a reviewer for several journals and conference papers. Joanna Nellos Rhodes earned her Bachelors of Liberal Arts and Juris Doctorate at the University of New Mexico. After practicing law for a few years representing victims of domestic violence, Joanna began working in the business world by managing retail wine stores for her family. 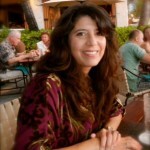 In 2005, she moved to Hawaii and worked as a project manager in human resources and harbor reconstruction and became a certified PMP in 2010. Currently, Joanna is a full time student at HPU earning her Masters of Science in Information Systems. During the school year, she is a substitute teacher with the Hawaii Department of Education, and in the summer she is a cook and deck hand on a 130ft Crab boat, tendering salmon in Alaska with her husband. Kenny Luong was born in Los Alamitos, California, but moved to Oahu when he was in five years old. 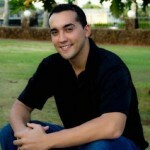 His passion for computers and electronics led him to peruse a Bachelor’s of Science Degree in Computer Engineering at the University of Hawaii at Manoa, where he is currently studying. He has been employed with the UH Information Technology Services (ITS) Help Desk as a part-time student for over two years. 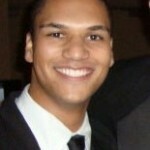 Kenny is also highly active within the UH School of Engineering, having worked on projects such as Micromouse, and REIS Sensing and Monitoring, as well as holding officer positions for the Engineer’s Council at UH (ECUH), the IEEE Student Branch at UH Manoa, and the Electrical Engineering Student Advisory Board. After finishing his Bachelor’s degree, Kenny hopes to work in industry for a time, and then return to obtain a Master’s Degree. Kenny attributes his current passion for Computer Engineering to his peers, who inspire and motivate him on a daily basis. Oren Maneha is from Pukalani, Maui. 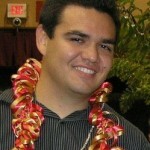 He graduated Maui High School from the class of 2005, and is a recent graduate from Brigham Young University of Hawaii. Oren is very grateful and excited to be a part of this internship involving the transformation of the State of Hawaii for a better future. He is ready and willing to be engaged in this new opportunity for learning, where he will gain much knowledge not only for his betterment, but for the betterment of his fellow friends and family through the knowledge and experience in which he will gain from this experience. 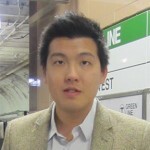 Ronald Yu is an aspiring IT professional with knowledge of Marketing, Economics, and Asian Social Sciences. He co-founded Idealogic Solutions of Beijing, China, where he worked on developing an integrated CAD database for specialty equipment manufacturers of the automotive industry. Currently as the Vice President of Marketing at Pi Sigma Epsilon, Upsilon Chapter, Inc., he supervised the design, planning, development, and implementation of the Shidler Merchandise e-commerce system. In May 2013, Ronald Yu will graduate Shidler College of Business at the University of Hawaii at Manoa with a B.B.A. in Management Information Systems and minors in Economics and Asian Studies. 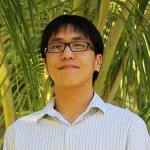 Yu currently holds APEC certification and is currently pursuing his CCNA and CCNP.